The Office of Public Affairs of the Embassy of the United States of America in Belgrade announces the competition for the 2014-2015 academic year of the E-Teacher Scholarship Program for Serbia. E-Teacher Scholarship Program – English Teacher Professional Development Distance Learning Program – is the program of the Office of English Language Programs of the Bureau of Educational and Cultural Affairs of the U.S. Department of State. The program offers online courses that train foreign English language professionals in the latest U.S. methods of English language teaching via distance education. Participation is open to teachers worldwide. The 10-week courses will be offered in the fall 2014, winter, spring and summer of 2015. Tuition and materials will be paid by the Office of English Language Programs. Practical Applications in Language and Learning Skills (PALSS) ONLY to be offered in Winter 2015 term. Developing Local Leadership for Global English Language Teaching (Global English) New for AY2014-2015 Not designed for classroom teachers, but rather for language administrators, principals, or staff that manage students or schools. Serbian citizenship, permanent employment in Serbia (with a minimum of 3 years of working experience as an English language teacher), university degree, and English proficiency. Candidates for E-Teacher scholarships should be teacher trainers or teachers who are working or plan to work, with one of the subjects covered by the courses. They should be highly motivated individuals who are dedicated both to their own professional development and to sharing the knowledge gained with colleagues through workshops or professional presentations. Candidates should also be committed to fulfilling the program requirements (dedicating on average 8-10 hours per week) and completing the course. ability to type in English well enough to perform online tasks in real-time and to submit written assignments in a timely manner. Local employees of the U.S. Mission in Serbia who work for the U.S. Department of State, and members of their families, as well as individuals with dual U.S. citizenship or U.S. permanent resident status. The deadline for receipt of applications is 5 p.m. on Friday, July 4, 2014. Please note that incomplete or late applications will not be considered. Public Affairs Office, U.S. Embassy Belgrade, will review all the received applications for the eligibility and completeness, and then forward them to the Office of English Language Programs in Washington, D.C. where the selection committee will make the final selection of candidates. The results of the selection process will be available in late summer of 2014. 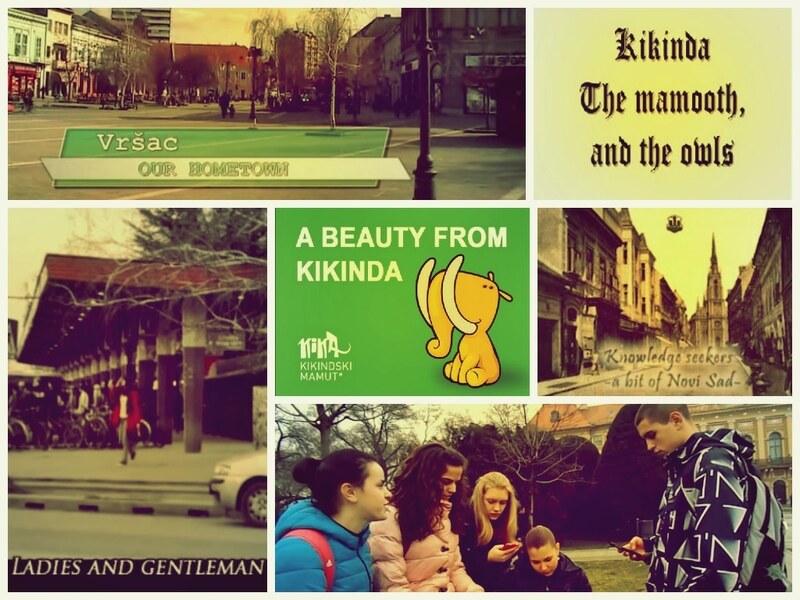 In cooperation with our colleagues from Slovenia, Hungary and Croatia, ELTA has organized a video competition for the 2nd grade students on a topic ‘’Our Hometown’’. The winners of our video competition are stated below. Congratulations to all of them! Take a look and be inspired by these amazing videos! The Office of Public Affairs of the Embassy of the United States of America in Belgrade announces the competition for 2012-2013 E-Teacher Scholarship Program for Serbia. Notice: The deadline has been moved to 5 p.m. on Monday, June 25, 2012. E-Teacher Scholarship Program – English Teacher Professional Development Distance Learning Program – is the program of the Office of English Language Programs of the Bureau of Educational and Cultural Affairs of the U.S. Department of State. The program offers online courses that train foreign English language professionals in the latest U.S. methods of English language teaching via distance education. Participation is open to teachers worldwide. The 10-week courses will be offered in the fall of 2012, and the winter, spring, and summer of 2013. Tuition and materials will be paid by the Office of English Language Programs. Twenty-six of the E-Teacher course participants will be selected to attend a three-week professional development workshop in the U.S. in the summer of 2013. Specific Criteria: New to online learning with limited technology skills; upon successful completion, will be eligible for a 10-week E-Teacher course the following academic year. Designed to teach necessary technology to teachers with no tech background. The teachers will be learning introductory methodology through the foundation of technology. This course is designed to provide participants with current methodologies associated with teaching English language learners (ELLs) of different ages in various learning contexts. Participants will discuss and practice a wide variety of strategies and techniques for teaching English to speakers of other languages (TESOL). While exploring best practices for teaching English, participants learn how to create an effective and communicative language classroom for all ELLs. In addition, participants will examine what best practices means in the context of teaching English in the 21st century, where the use of English incorporates modern technologies. This course is based partially on the “Shaping the Way We Teach English” materials. Specific Criteria: Intermediate English language proficiency in listening and speaking. Ability to use Skype for synchronous sessions. Designed to improve the oral/aural English language proficiency and teaching methodologies. The course pioneers new technologies and pedagogical practices for teaching oral English skills via synchronous and asynchronous sessions using Skype and other voice-recording technologies. This course will involve participants with the theory and practice of the major components of assessment, with a particular focus on English as a foreign language and addressing all four skill areas. Assessment topics covered include needs assessment, diagnostic, proficiency, achievement, formative, alternative, summative, standardized, strength-based, and differentiated. Participants will also explore aligning assessment to behavioral objectives and course goals, giving learners effective and helpful feedback, developing rubrics and tests, evaluating assessment with item analysis, and looking at reliability and validity. Articles and other readings give participants a firm foundation in assessment theory, and they will put theory into practice with an array of weekly practical applications, assignments, discussions, and tasks that include creating different types of assessments and feedback. The course will end with an assessment project organized as a WebQuest. Participants in this course deepen their understanding of the theory and applied use of CALL principles and practices in the EFL classroom. The course will model innovative online teaching practices, enable participants to understand and use appropriate technology to enhance learning outcomes for their students, and offer opportunities to share real-world applications of technology tools and practices. The course will provide educators with support and problem-solving mechanisms as they implement technology and act as a train-the-trainers model so that participants can move forward after the course with concrete dissemination plans. a. Read and discuss professional information and articles to develop a deeper understanding of current topics in language pedagogy as they relate to general critical thinking skills. b. Identify, evaluate, and select web-based materials and tools for use in the classroom. c. Interact with colleagues regionally and internationally who share similar pedagogical interests. Create classroom materials and projects that demonstrate an understanding of course topics. Adapt and enhance existing materials so that they are culturally and age appropriate for their schools’ local curriculum. Specific Criteria: Secondary and post-secondary level educators only (no primary level). This online course will develop participants’ skills in designing, implementing and evaluating English for Specific Purposes (ESP) courses based on best practices in the field. Because the foundation of this course is in best practices, new and experienced ESP practitioners are welcome from all areas of the field. Course participants may be addressing the needs of pre-experienced learners (preparing to enter a specific discourse community) who need (1) English for Academic Purposes (EAP) for courses in specific disciplines in universities, or (2) Vocational English for Specific Purposes (VESP) for courses at vocational and technical secondary schools.Other course participants might be focused on English for Occupational Purposes (EOP) courses in the business sector or other fields that are intended for pre-experienced or experienced learners already in the workplace who need English as a tool for their job. Regardless of which ESP target learner population is the focus (EAP, VESP or EOP), the target learners are usually adults with an intermediate level of English or higher. The course will also address the need for training in English for Specific Purposes to promote education and economic development at the local and national levels. This course is designed to be a survey of teaching methods that support learners with special needs within the context of the TEFL classroom. Participants will read articles, visit websites and discuss practices that provide teaching strategies for diverse learners with a wide variety of skills and varying levels of performance. The focus is placed on inclusive teaching models, with exploration of the current best practices. As a community of professionals, participants will engage in ongoing dialogue, sharing their experience, success and concerns in their teaching. A support system will be established with exposure to resources found within individual teaching communities and external locations such as online forums and information centers. Emphasis will be placed on the creation of a resource to take back for sharing among participants’ local communities (e.g., classroom, school-wide basis, parents or larger community). Specific Criteria: Primary level educators only (ages 5-9 and/or ages 10-12). English learners at the primary level (approximately ages 5‐10) are cognitively “primed” to acquire language skills in ways that lend themselves well to an integrated skills and content-based, experiential approach. The educator who understands the cognitive and social processes of second language acquisition for Teaching English to Young Learners (TEYL) is better equipped to help the learner navigate the processes of classroom learning activities while also creating a fun, positive environment. In many cases, TEYL educators in English as a Foreign Language settings have a limited amount of time to accomplish their teaching goals and meet local requirements regarding the use of specific texts, tests or other materials. A low-resource environment can also pose challenges. In this course, participants have the opportunity to explore solutions for such challenges through an overview of current research and “best” practices (always context-dependent) for TEYL plus hands-on experimentation with a wide array of freely available online and local resources. BASIC REQUIREMENTS: Serbian citizenship, permanent employment in Serbia (with a minimum of 3 years of working experience as an English language teacher), university degree, and English proficiency (with a minimum TOEFL test score of 550 paper-based, or 79-80 IBT). RECRUITMENT: Candidates for E-Teacher scholarships should be teacher trainers or teachers who are working or plan to work, with one of the subjects covered by the courses. They should be highly motivated individuals who are dedicated both to their own professional development and to sharing the knowledge gained with colleagues through workshops or professional presentations. Candidates should also be committed to fulfilling the program requirements (dedicating on average 8-10 hours per week) and completing the course. -Local employees of the U.S. Mission in Serbia who work for the U.S. Department of State, and members of their families, as well as individuals with dual U.S. citizenship or U.S. permanent resident status. The deadline for receipt of applications is 5 p.m. on Monday, June 25, 2012. Please note that incomplete or late applications will not be considered. SELECTION: Public Affairs Office, U.S. Embassy Belgrade, will review all the received applications for the eligibility and completeness, and then forward them to the Office of English Language Programs in Washington, D.C. where the selection committee will make the final selection of candidates. The results of the selection process will be available in the fall 2012.